Four designated Winter Championships Qualifier meets were held Saturday (1/12). 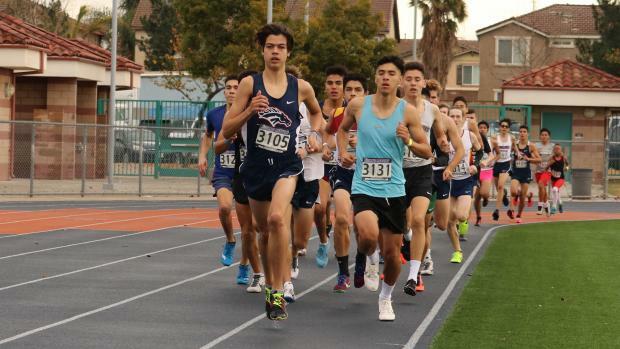 WCQ meets are held over four consecutive Saturdays to qualify athletes for the Feb. 9 CA Winter Championships at Arcadia HS. While all athletes compete "unattached" only current high school students are eligible to qualify and compete at the championship meet. Only marks achieved at a designated WCQ meets are eligible for the championship meet. On the following pages, find leaders from Saturday's four qualifying meets: Costa Mesa, Marshall (at Riverside King), Roosevelt and Turlock. Note that only WCQ marks from identifiable current high school athletes are listed on the pages below. Because all athletes compete unattached, school affiliations are listed in these rankings for the purpose of identification.